How to Tell Love Stories. Honestly. Playwright Nora Bryde Gjertsen on how to write a love story with both the thrill and the sting. Nora Bryde Gjertsen is a young, new playwright. 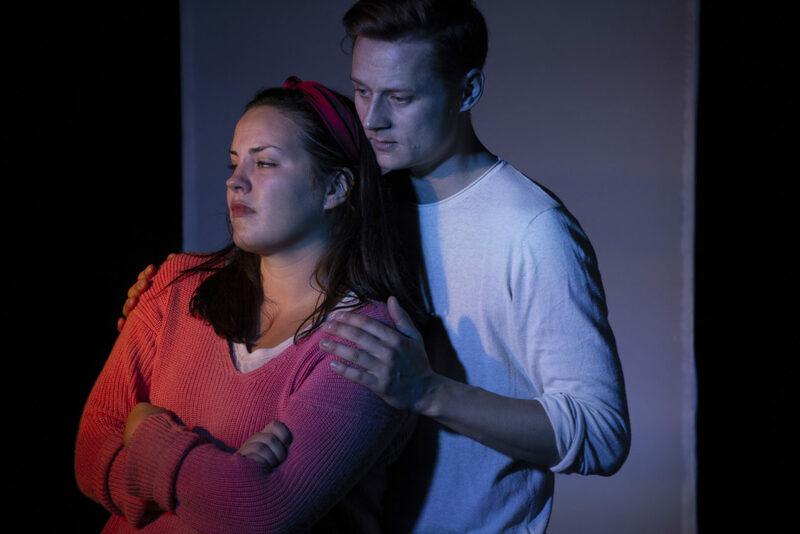 Her latest production “Bumpy”, playing at Akershus Teater, follows a young woman Pia (Bryde Gjertsen) – a clumsy, brave person who strikes up a bumpy romance with fellow student Philip (Sindre Bråthen Tjørsvaag), who already happens to be in a relationship. Benedicte Søreng wonderfully doubles as a Disneyesque fairy godmother and as Pia’s co-conspiring best friend. The play is about the struggle between what the heart wants, and what common sense would rather have you do. Sound like a cliché? It doesn’t feel like one. So why don’t we ever get tired of hearing about it? 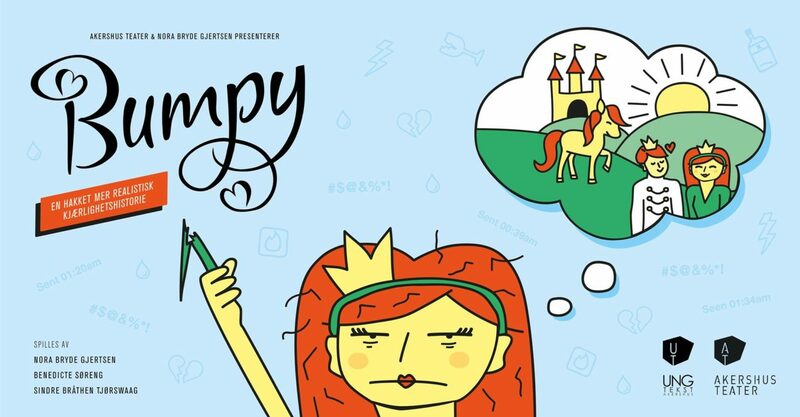 Bumpy exemplifies how a good plot line can make any old love story feel original, as the funny and honest tone of voice makes the heartbreak a bit lighter, making us all see our own flaws and weirdness as we chase true love. “It´s important because it can give a wrong picture of reality. People don’t always make the right decisions when they’re in love. I want to show it’s pretty normal, actually,” she says. In the end, Pia and Prince Charming don´t end up together. Instead, they´ve both just evolved emotionally and, hopefully, gotten a little bit wiser for next time. Maybe it was more about standing up for herself and understanding what she needs and wants in a relationship in the end? The audience snickers and agrees. It’s easy to relate. 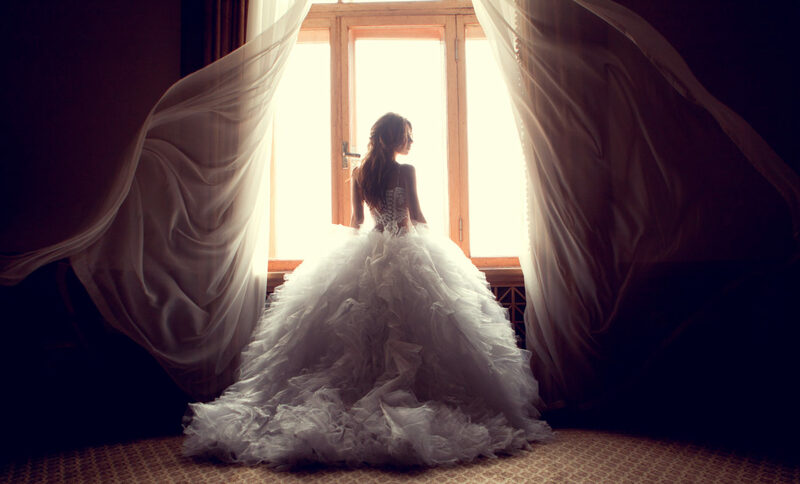 We’ve all dreamed that Mr or Mrs. Right shows up on the door step, eyes locking, heart racing, Dumdamdamdam. The clumsy, flirty dialog and text messages in Bumpy is a different world entirely. The actors, too, have certainly been there before and is able to make the different scenes just a little bit more realistic and fun by being able to stay in the moment and have fun with the dialog. “The actors play a big part in developing the language. We could figure out how to improve the lines by imagining how we personally would say it. It’s so exciting to work with talented, creative actors that can improvise and make suggestions for a scene. As a director you still have to make decisions and keep the story going forward,” Bryde Gjertsen says. To Bryde Gjertsen, writing on some level somehow must be based on own experience. Cliché or not cliché. 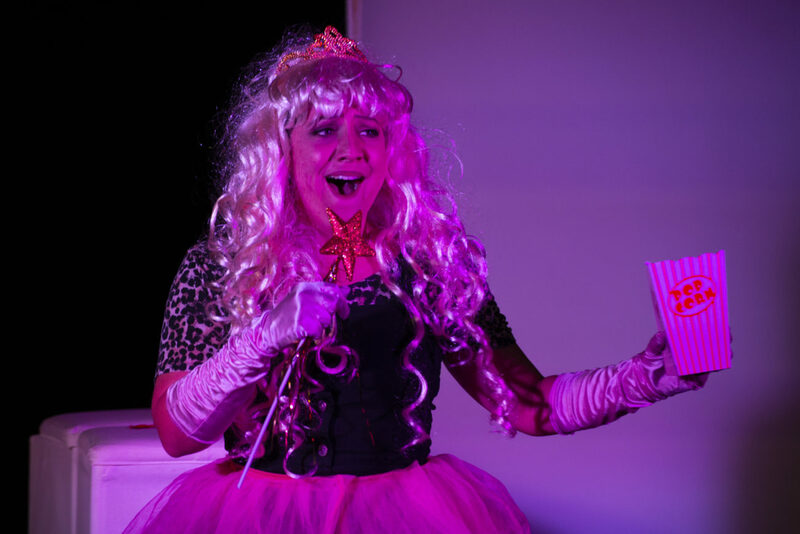 The Disney version of true love, embodied by Benedicte Søreng , is due for a correction. (Photo: L-P Lorentzen).